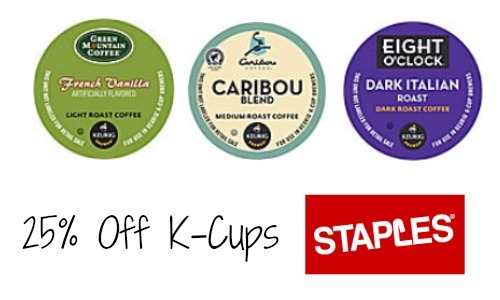 Today only, Staples is offering 25% of all Keurig 8, 16 or 18 count K-cup packs! Also, if you’re a Staples Rewards Member you can get an additional 2-5% cash back. 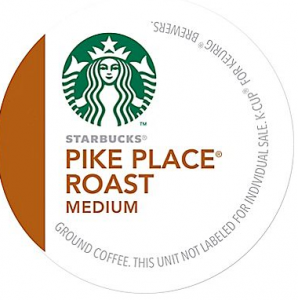 This is a great time to stock up on all your favorite roasts for the home or office and there are tons to choose from! 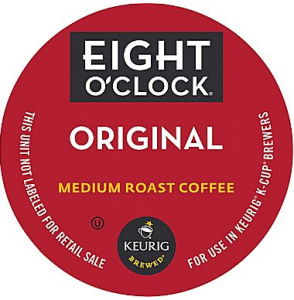 My buy price for K-Cups is 44¢ each, so with this deal you can get them for less than that. Staples Rewards Members get FREE Shipping or choose FREE in-store pick up.